Machines4u is back with another amazing giveaway for Elmore 2018! 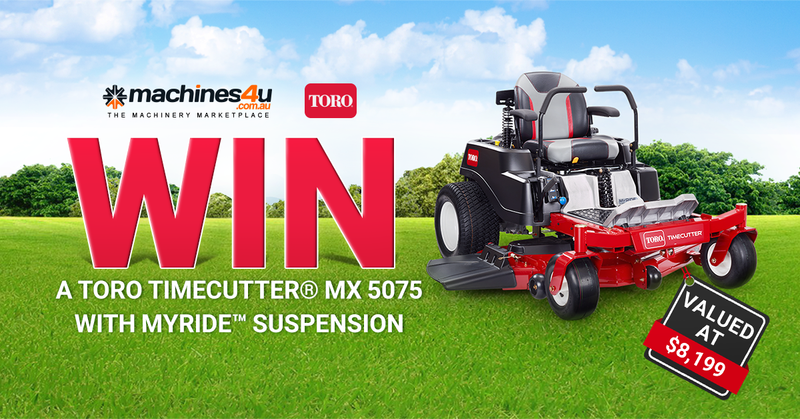 Be sure to enter for your chance to win this amazing Toro TimeCutter! For your chance to win this prize simply follow the link and fill out the form! We’ll be drawing one lucky name out of our prize barrel on Thursday, October 4th at 1pm. If you’re not around, don’t worry will give you a call to let you know you’ve won. It’s that easy!